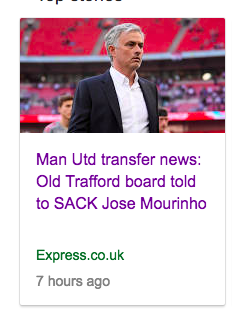 “Man Utd transfer news: Bigwigs told to abandon plans and sack Jose Mourinho – EXCLUSIVE.” So thunders the Daily Star. 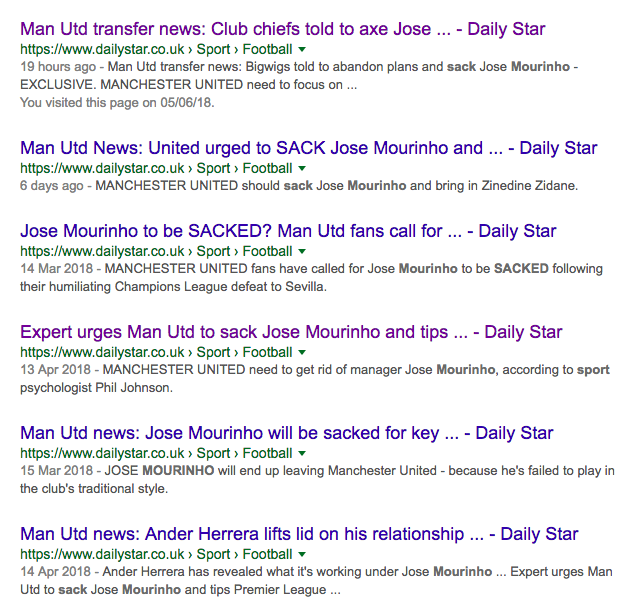 “MANCHESTER UNITED need to focus on changing their manager – not the players.” Says who? 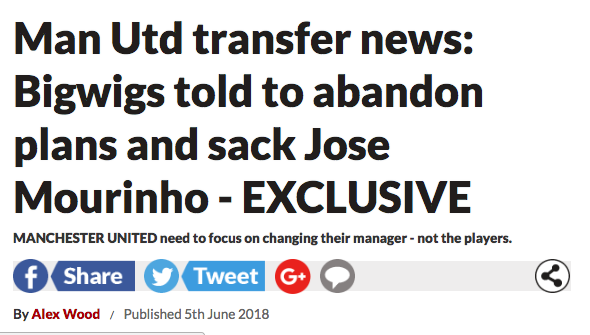 Says Lee Sharp, who apparently has the ear of the Manchester United kingmakers and tells them what to do. For me, it was a pretty disappointing season and not entertaining enough,” said the former England winger. “There are clubs with certain identities and United have never been a 1-0 team that sits back and rests on its laurels. “You’ve got the blue side of Manchester under Pep, you’ve got Jurgen Klopp at Liverpool playing some of the best football in the league and United are playing slow, pragmatic, boring and even dated football. “Maybe it’s time Mourinho reassesses things tactically. He’s been one of the most successful managers in the game over 10-12 years, trophies everywhere he’s gone, so I can understand him saying, ‘I’m doing it my way’. Look out for Jose Mourinho extending his stay at Manchester United.